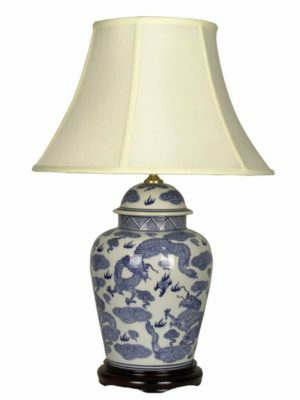 The lamp base height is 32 cm and the lamp base width is 18cm. 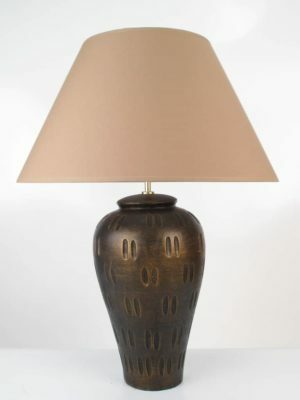 Overall height of lamp and shade combined is 58cm (23inch). Approx. Shown with a 14 inch Empire shade in Ivory. 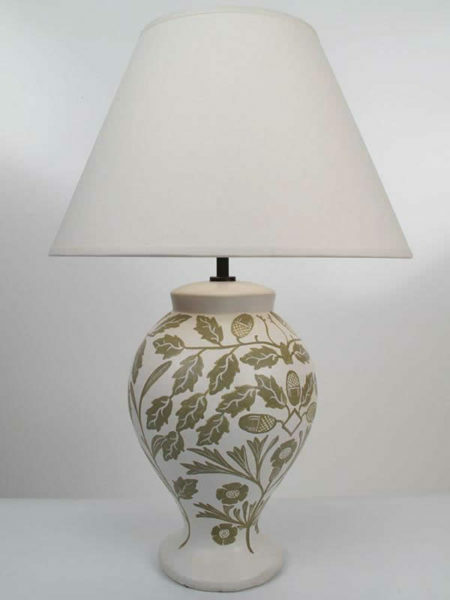 Floral Pottery Lamp. Inclusive of shade as shown and mainland England/Wales/Scotland delivery. For other areas please contact us prior to purchase for a shipping quote. Lamp and shade made by hand. Please note that due to their handcrafted nature some minor variations may occur between lamps. We do not supply bulbs due to possible filament damage during transit.